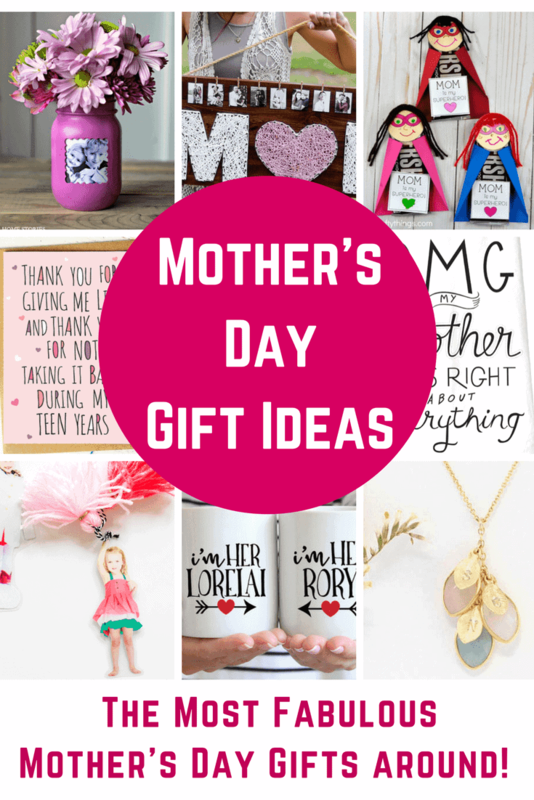 Fabulous Mother's Day Gift Ideas - DIY Gifts and Great Gifts to Buy! 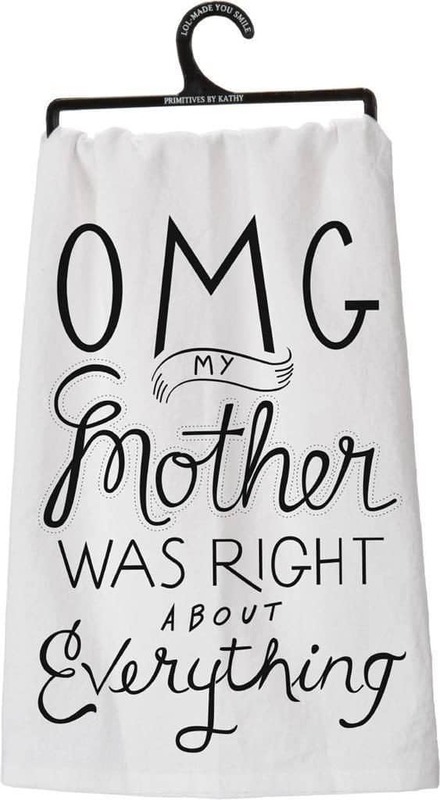 These Mother’s Day gift ideas are going to make all of the women on your list very happy! 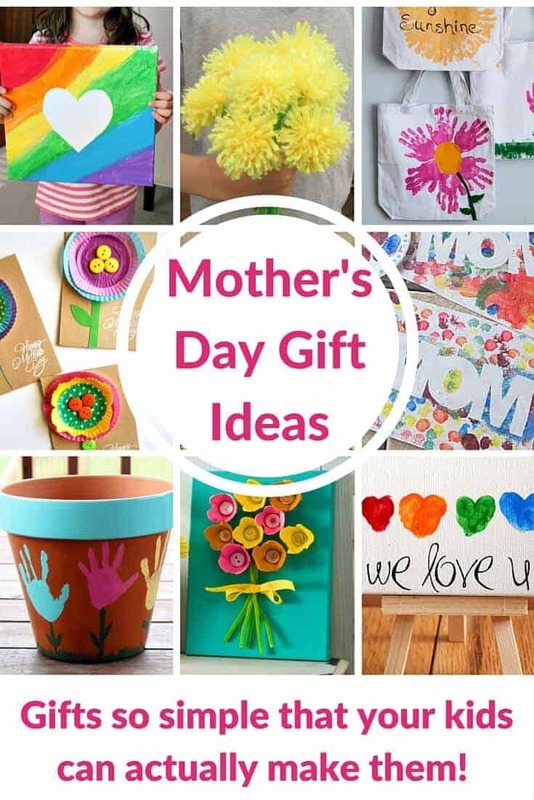 Want to make your own DIY Mother’s Day Gift or did you wait until the last minute and need to buy the perfect gift for mom? Either way, we’ve got you covered! Does selecting a gift for your mom or grandmother seem super difficult? Maybe you haven’t even started thinking about this special holiday yet, but it will be here in no time at all and we all want to be prepared, right? I’ve shared lots of ideas that the kids can make for mom, but today I’m sharing a few of those and lots of ideas that even grown ups can give. You guy are going to love these ideas! 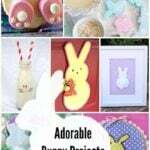 I love a good DIY gift and Mother’s Day is the perfect occasion to get hands on and create a one of a kind gift just for that special lady in your life. 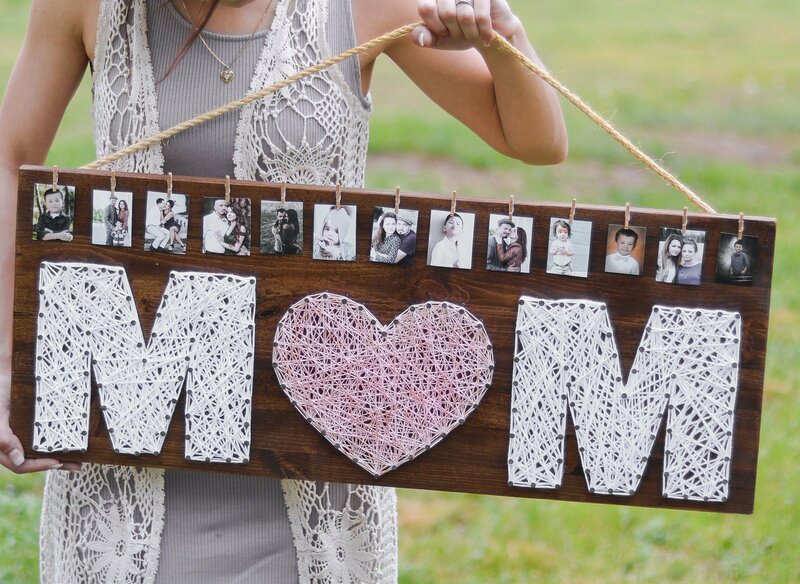 You don’t have to be a kid to make a DIY Mother’s Day gift…adults love to craft too! Today I am sharing a few of my new favorite handmade Mother’s Day gifts. These are so creative, out of the box and super simple to create for yourself. 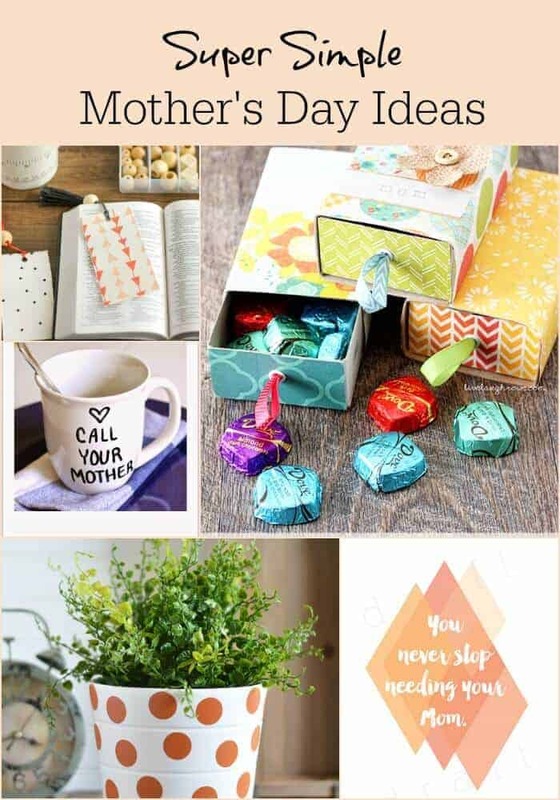 These make perfect gifts for mom or grandma! 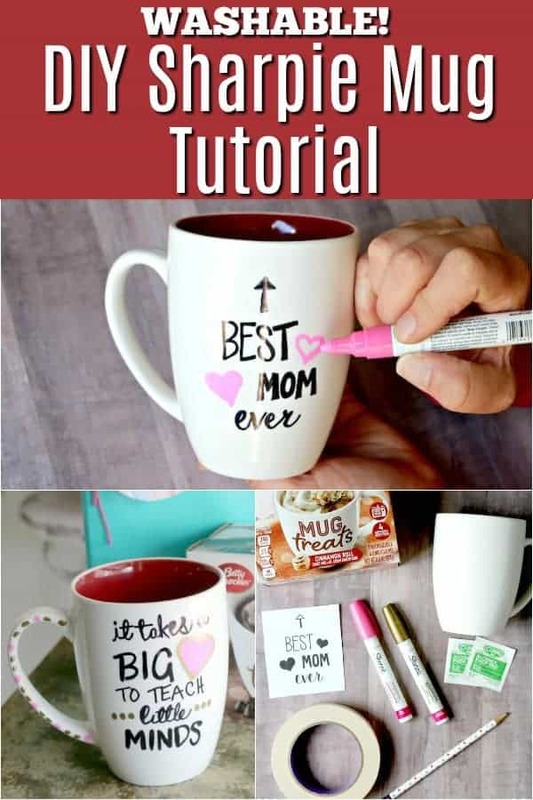 All DIY Sharpie Mugs are not created equal! Want to know how to make them and NOT have the marker wash off after a couple of uses? Check out our How to Make a DIY Sharpie Mug tutorial! These not only make a great DIY gift for mom, but they are also perfect for Grandma, Nana or Bubbie! Not to mention, they make super cute Teacher Appreciation gifts too! This oversized frame from A Creative Lifestyle is just spectacular. Not only does it involve really cool string art, is also leaves space for photographs and is so rustic and beautiful. Lily even provides a printable template for the letters so there is no guesswork at all! If you don’t need one this year for mom, you could do one for dad or with your last name, or even with your child’s first name! 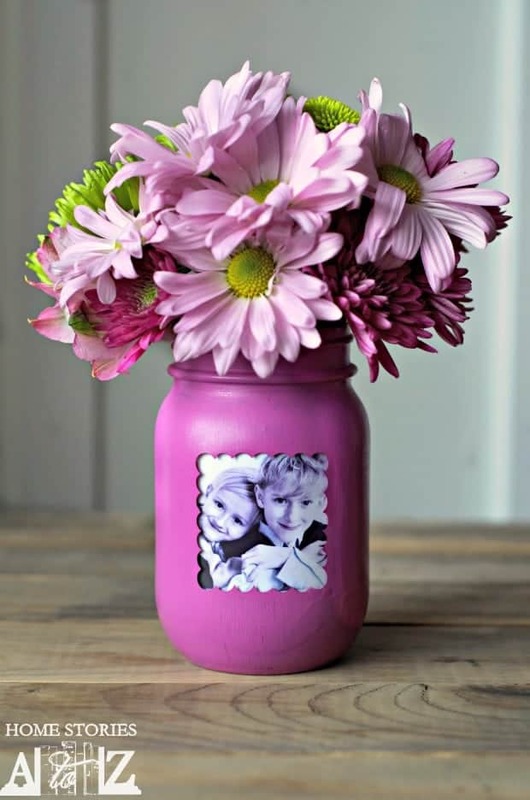 Mason Jars are still super popular and any mom would love to get a sweet vase full of flowers that was personalized with her kids picture on it. Home Stories A to Z breaks down this really easy to follow project idea and you may already have everything you need to make one for a gift. I love this idea! 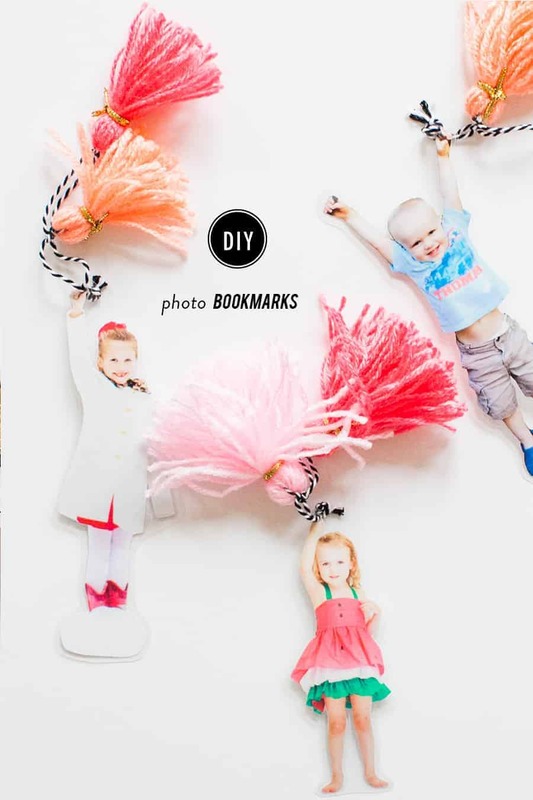 I totally want to make some of these out of this world cute DIY Photo Bookmarks by Style Me Pretty. How fun are they? I know the kids would definitely be down with a quick impromptu photo session and we could sit down and make the bookmarks together. I know two grandmas that would love receiving these as a Mother’s Day Gift this year. This is such a sweet idea and it is so cost effective. 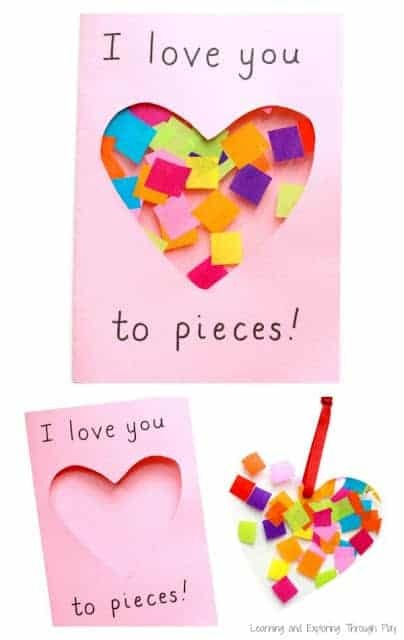 This Love You to Pieces Gift is a card and a sun catcher (and a great DIY gift for Grandma from the kids). Head on over to Learning and Exploring Through Play to find out how you can put together one of these sweet cards. Confession time, my mom is SO hard to shop for. I always want to give her the perfect gift… one that she will love and think I am the best daughter ever. However, she is one tough cookie to shop for and she generally gets what she likes for herself. This can make things pretty difficult, but not this year. This year I found a few things that even the lady who has everything will love or at least get a kick out of! 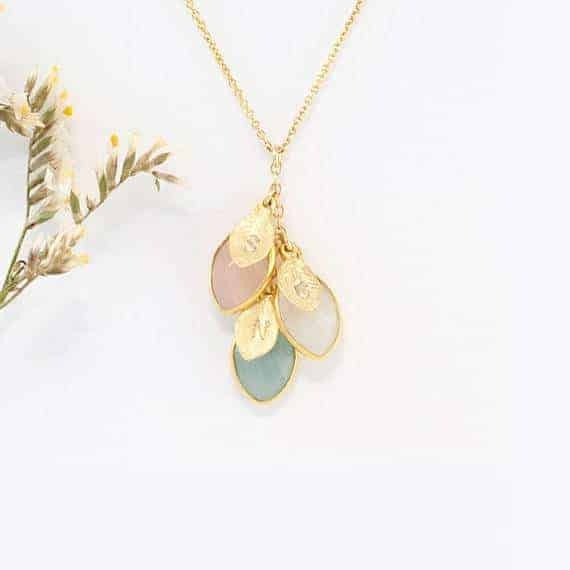 I’ve always loved giving personalized gifts and this necklace is just stunning. You can personalize each charm with an initial and the child’s birthstone. I would love to have this gorgeous piece of custom jewelry hanging around my neck. Don’t you love how unique this piece is? Any Gilmore Girls fans out there? I can see the hands flying up now! 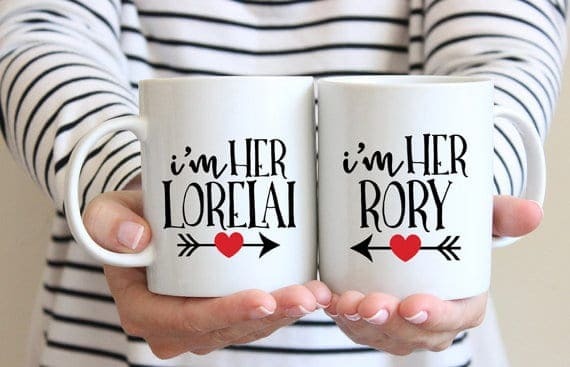 I think this set of Gilmore Girls mugs is absolutely precious. If one of my kids were to get this for me… I would love it (hint hint). Channel your inner Rory or Lorelei and think of your mom or daughter every single morning when you drink your coffee. Let the quick witted banter begin! This is a fun and quick DIY gift from the girls at Eighteen 25. 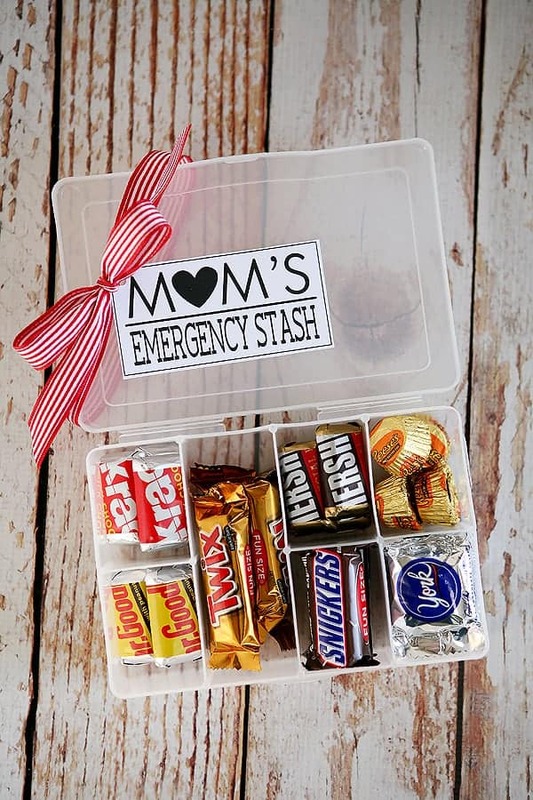 Trust me, no mom will turn away a sweet treat and we all need an emergency stash for those tough days. I love that you could head to your local Walmart or Target and pick up everything you need in one trip, too! 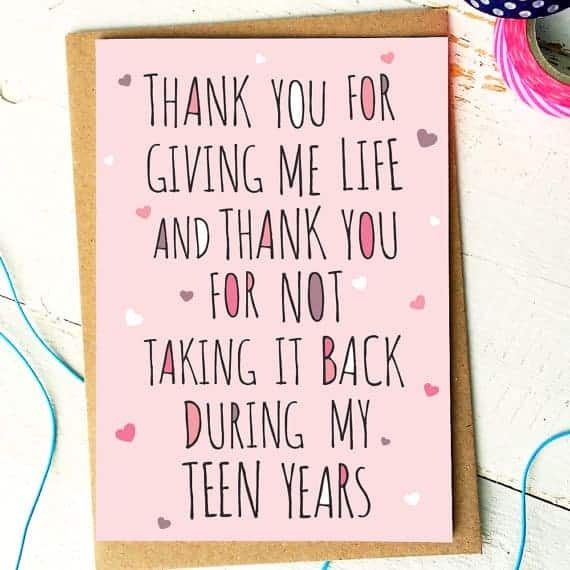 These are some really funny options for Mother’s Day Cards. Humorous cards really do make me smile. 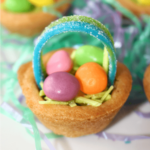 Get ready for a crazy cute idea for the kids to make for mom…. 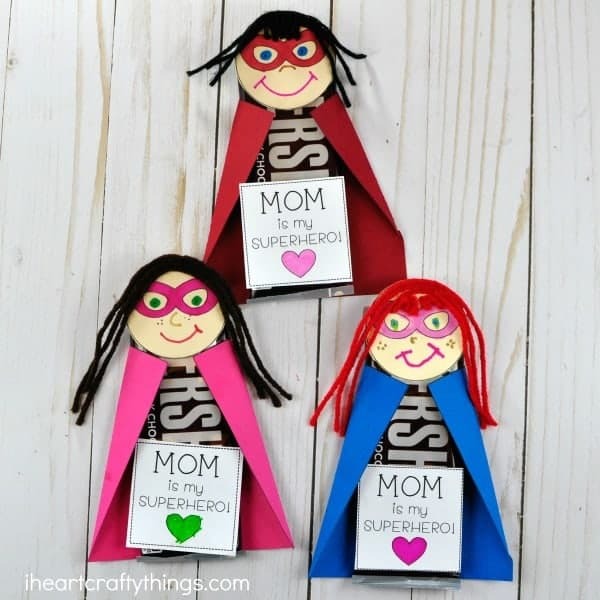 A Superhero Candy Bar Mother’s Day gift by I Heart Crafty Things. I have to tell you that moms truly are superheroes and they totally deserve a cape and chocolate. Thank you so much for such fun ideas.